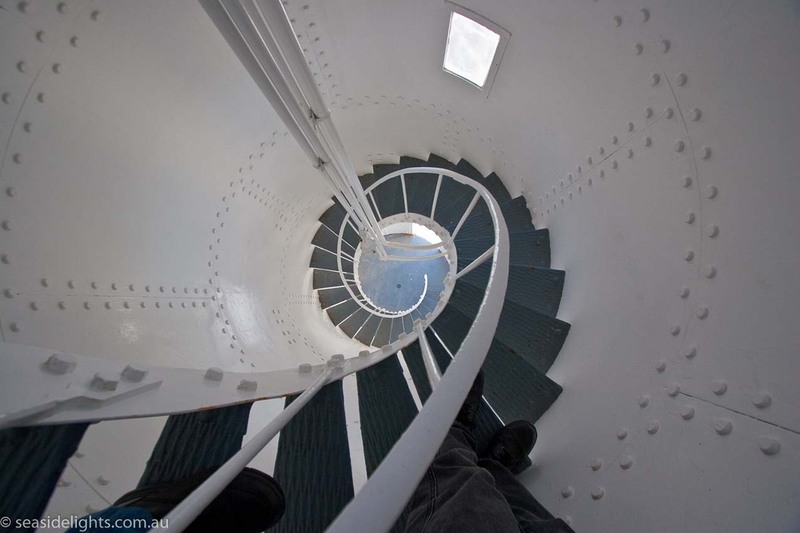 Currie Lighthouse | Lighthouses of Australia Inc. 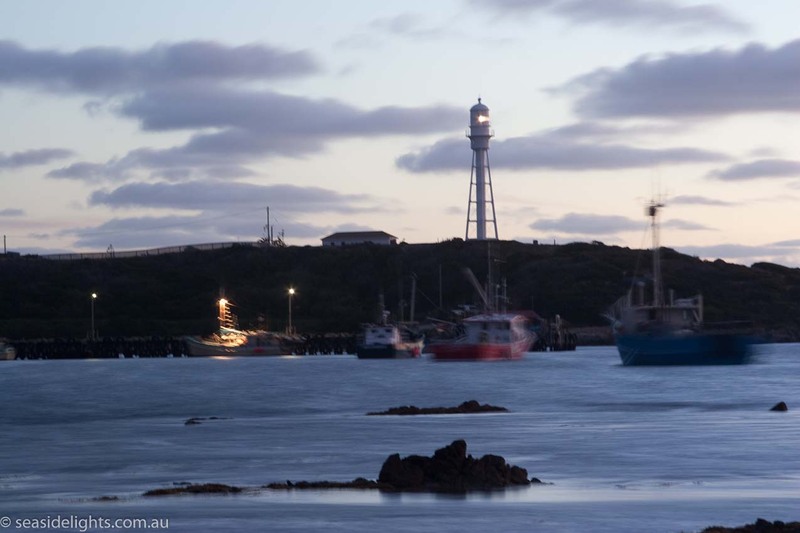 The Currie Harbour Lighthouse on King Island had its light turned off in 1989, however after much agitation and lobbying the dormant light was reignited in 1995. Constructed in 1879 and first lit in 1880, the Currie Harbour is a screw-pile foundation design. The entire assembly, 312 pieces, was pre-fabricated in England by Chance Bros, and is of wrought iron and a cast iron base. The cylinder in the centre has 90 spiral steps. In 1899, a 1st order revolving lens with an oil wick lamp was installed. In 1923, the oil lamp was replaced by a pressure kerosene burner with an incandescent mantle. In 1940, the existing 4th order lens was installed. In 1941, the original light apparatus replaced by an acetylene gas burner. In 1957, the light was connect to electric mains power. The light continued in operation until 1989 when it was turned off. The substitute light was sited on a steel pole some 80-100m south of the tower proper. This provided a temporary light for mariners. The light was switched on again by the governor of Tasmania, Sir Phillip Bennet on 15 March 1995. King Island forms a barrier to the western approach to Bass Strait, which vessels must navigate. The area between the island and Cape Otway, on the Victorian Coast, is known as the “Eye of the Needle”, and has claimed many ships and lives. King Island’s rugged coastline alone has claimed at least 60 vessels and more than 800 lives during the past 180 years. A lighthouse was established at Cape Wickham, the north western cape of the island, in 1861. Some ship’s captains mistook this for the Cape Otway Lighthouse, to the north, light and steered directly into the island as a result. Such incidents were the Arrow in 1865, Netherby in 1866, the Lock Leven in 1871, the Anna in 1873 and Blencathra in 1875. As a result the lighthouse was established at Currie on the western side of the island. Many reefs and rocks abound in this stretch of water. They stretch along the coast on both sides, and also extend up to 7 kilometres out to sea. 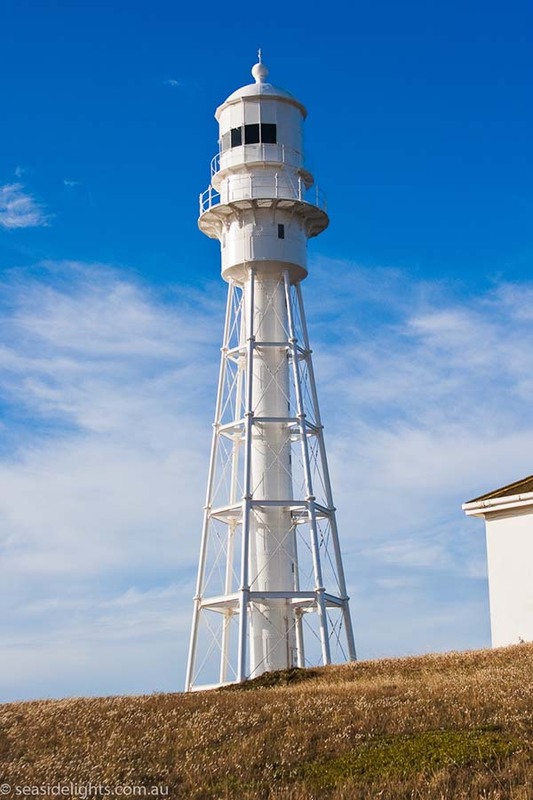 Although the light is officially known as the Currie Harbour Light, and serves as an entrance light, it primary purpose it that of a coastal light. The only official historic building (on The Register of the National Estate) on King Island is the lighthouse keeper’s residence at Currie which is used as a local museum by the King Island Historical Society. 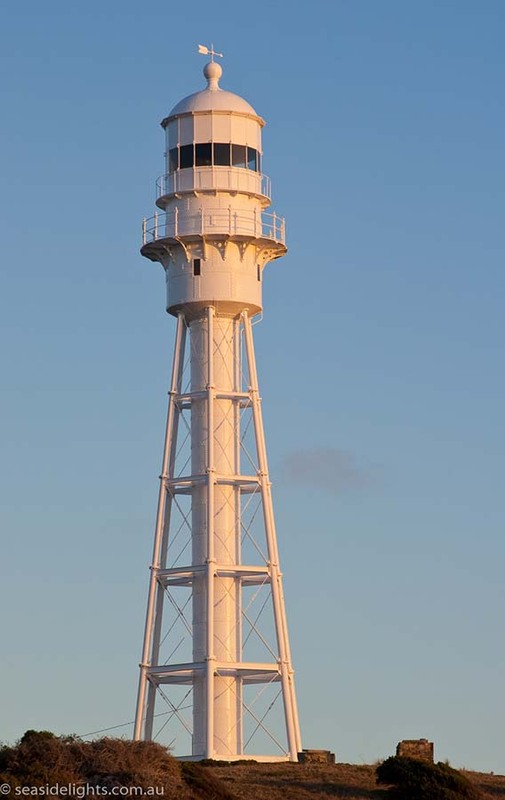 The light was reactivated in 1995 which should lead to continued maintenance from King Island Council. The lighthouse grounds are open all year round. The tower is open for tours. 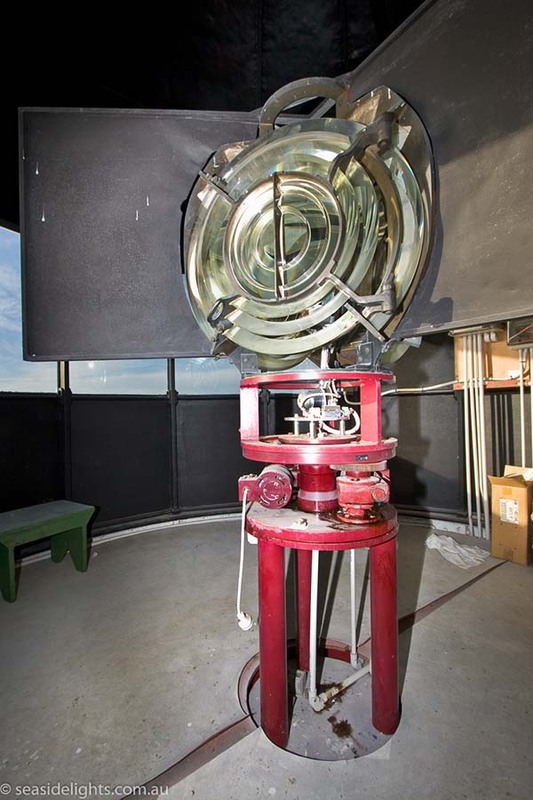 the original Cape Wickham fresnel light which returned home for the 150th anniversary of Cape Wickham in 2011. It’s simply stunning.